There’s something about being able to see directly into the heavens that makes you realize that you’re only an incremental piece of something so much larger, greater even. It had been eight years since I had seen the Milky Way and from the moment we touched down on the pebbly airstrip I waited anxiously for this moment – for the clouds to lift their veil and expose a twinkling black abyss adorned with 100 billion swirling stars. My first experience witnessing this gorgeous natural lightshow had been in the bush in South Africa, this time I was in the Masai Mara in front of a blazing boma at Alex Walker’s Serian Nkorombo Camp. Hippos bellowed by the bank of the Mara River a mere 20 feet from our fire. 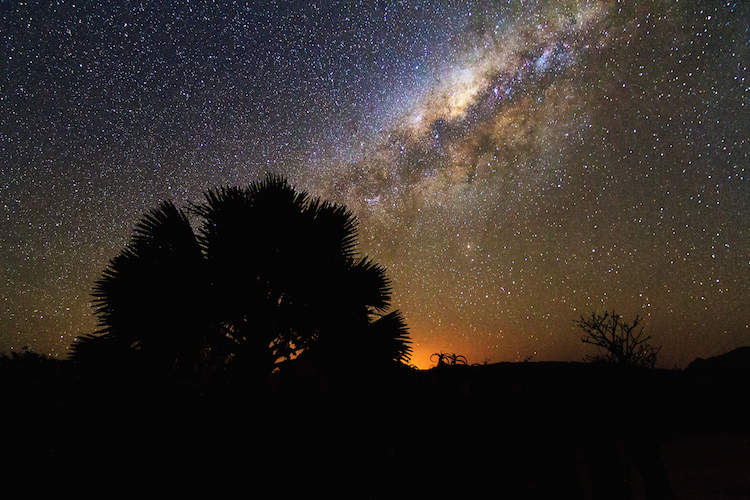 I sat looking up at the stars, sipping Amarula pondering the vastness of this special place – all of it – the open plains, the animals, the trees, the seemingly endless sky, the stillness…and I wished I could trap time in a little box and slip it in my pocket to be dealt with another day. 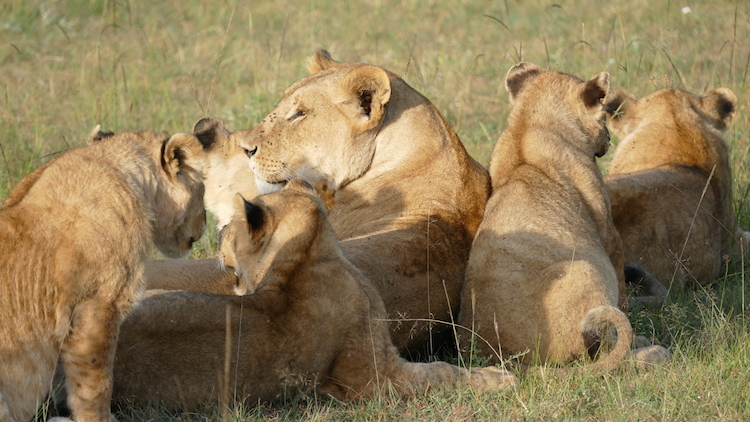 It was our third day in the Mara, the first two were spent in the Mara North Conservancy at Serian’s “The Original” camp. 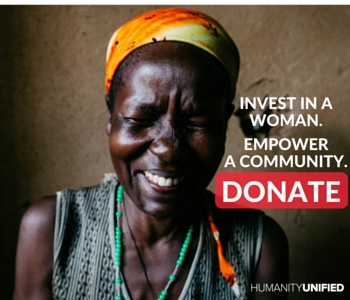 We came to Kenya after visiting Rwanda where we spent time learning about a project we are supporting that will empower women through education, entrepreneurship and food security programs. 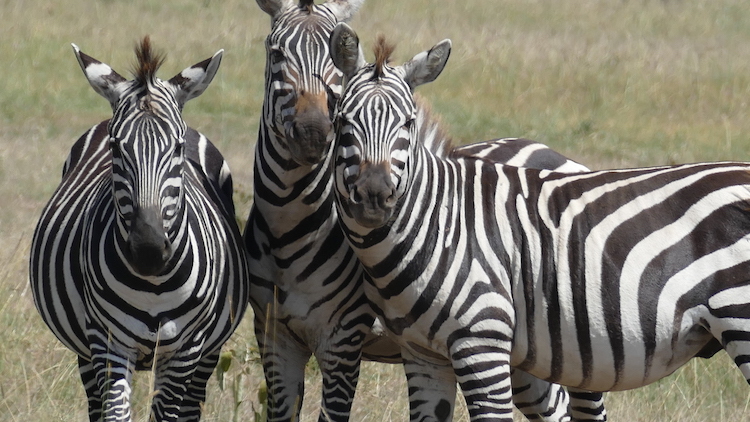 We decided to visit the Mara on the last leg of our trip during our stopover through Nairobi since it had been a place we’ve yearned to visit for years. 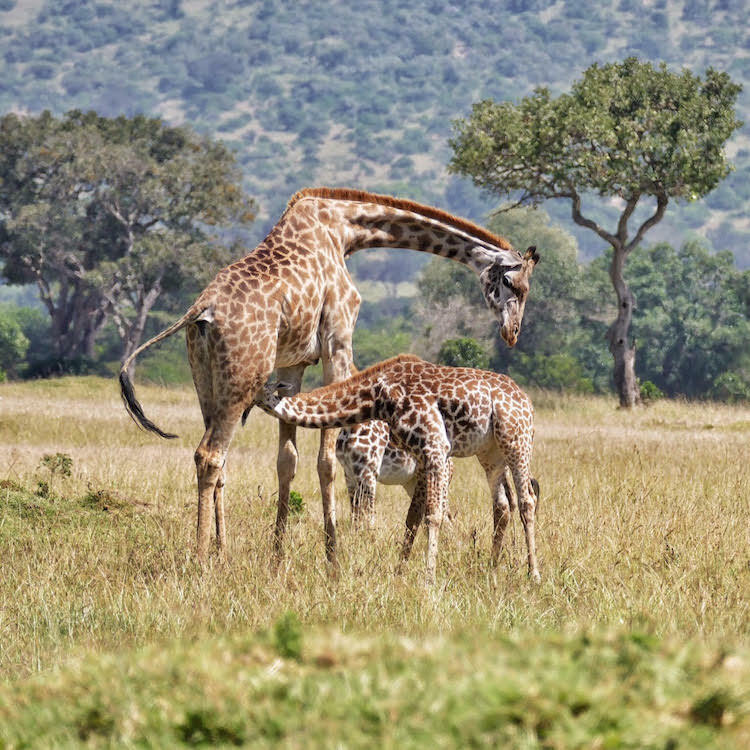 When we first arrived in the Mara North Conservancy, in typical safari fashion, our transport to Serian ‘The Original” became an exciting game drive as we stopped to spot several types of antelope, giraffe, buffalo, warthog, elephant and zebra. 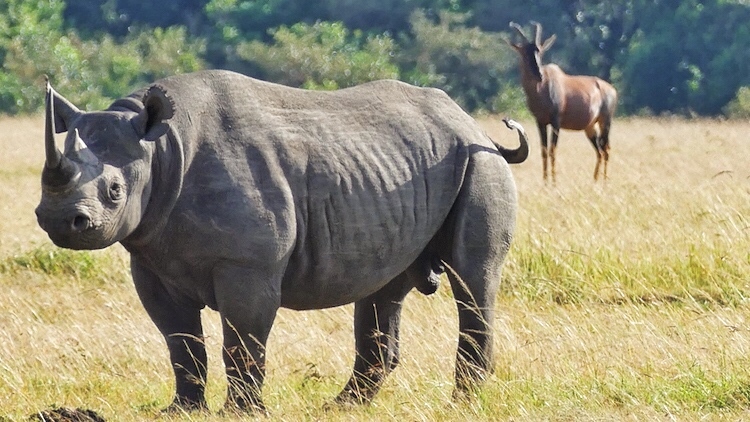 We had longed to be back in the bush among the raw beauty that can only be found on the African savanna and now that we were here it seemed a bit surreal. 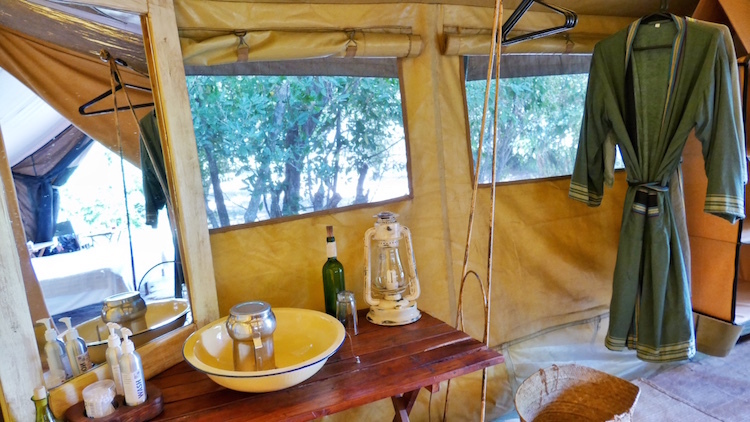 The beauty of staying at a camp such as Serian ‘The Original” or Nkorombo is that when you step out of the safari vehicle the safari continues within the camp. 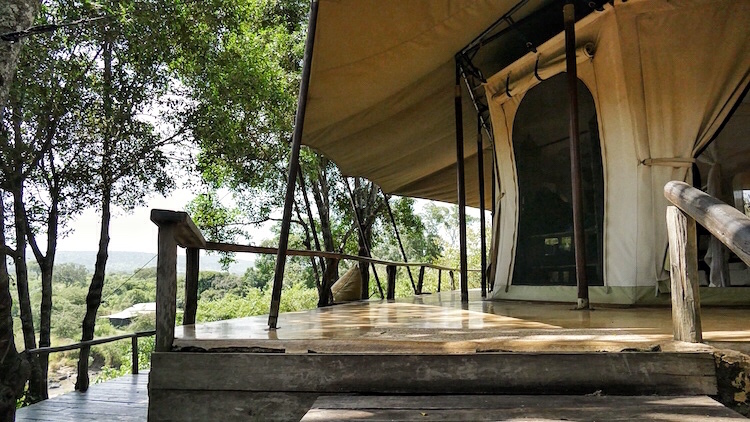 The understated luxury of the camp’s design allowed nature to steal the spotlight and amaze with her alluring curves, colors, comfort and bold wildlife patterns that moved across the backdrop of the Mara River. 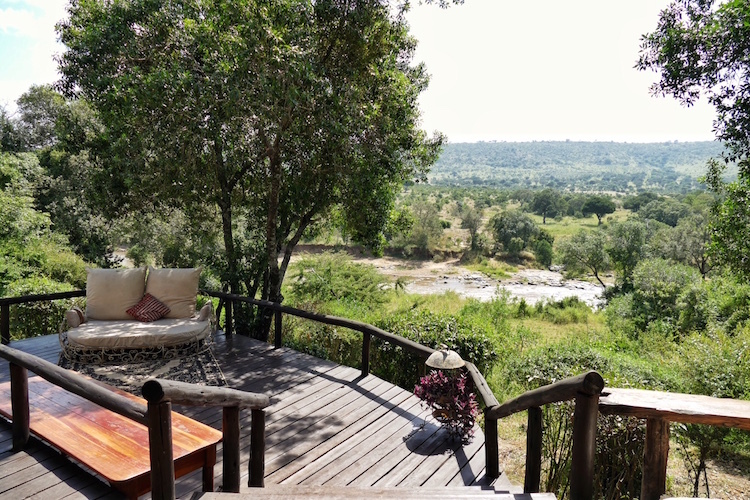 Lunch was waiting as we quickly settled into our stunning tented camp perched above the river that would be home for the next two nights. Stomachs rumbling, we made our way over to the communal table where others guests were waiting for us to join them. In good company, we enjoyed a refreshing and nourishing meal – many of the ingredients taken from the onsite garden – that included butternut squash soup, warm homemade bread, salad, and a delicious medley of sautéed vegetables (meat dishes were also offered, but my husband and I prefer a mainly vegan diet). 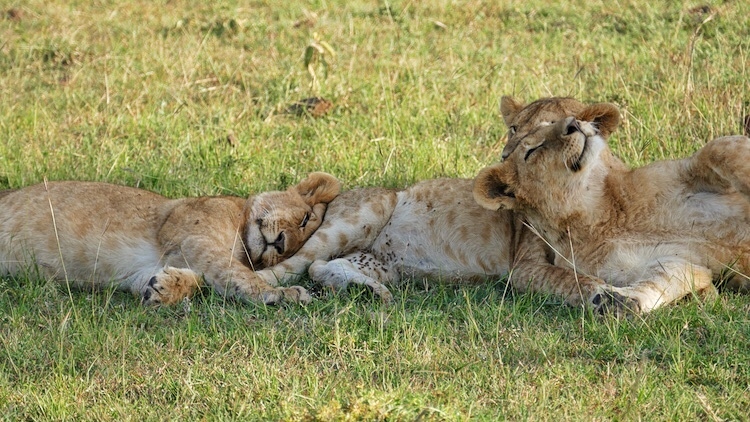 When on safari, one must engage in a proper siesta from 2:00 p.m. to 3:30 p.m. before teatime and the evening game drive. I unfortunately, could not take my eyes off the view that poured through the large opening in our tent that faced the river. Lullaby-like songs of birds wafted from the trees complimenting the soft bubbly sound of water flowing beneath us. I lay still on the white cozy bed letting my eyes drift open and close becoming unsure if the exquisite scene was really just a dream. I hoped that the clock would stop and I could stay right where I was for a few more days, but 3:30 had come and it would have been foolish to miss a delicious cup of Kenyan tea at one of the most beautiful spots on the property. 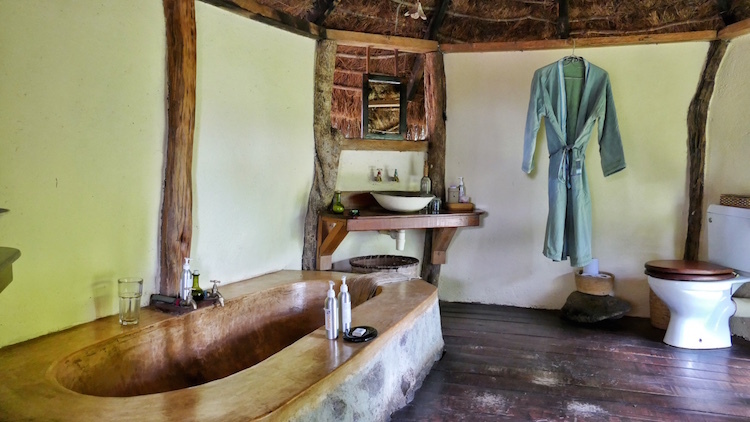 So off hubby and I went after taking a deliciously warm open-air shower in our rustic, but beautiful stand-alone bathroom and changing into more appropriate clothing for the night drive. In the main area, as we sipped our tea, we met with our guide James who would be with us for the duration of our stay at both Serian camps. 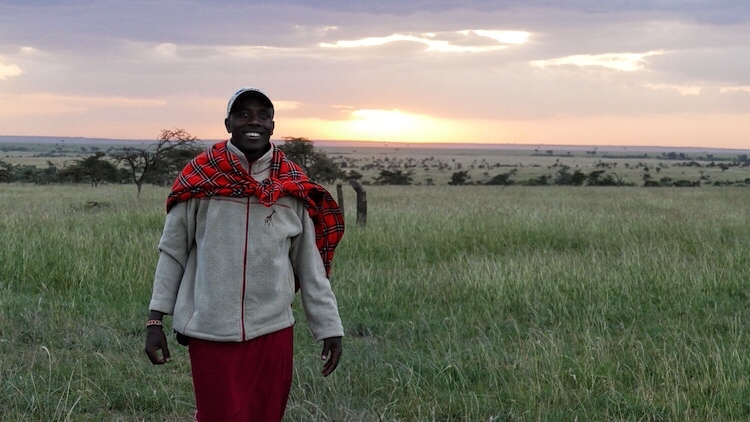 James, a Maasai, grew up in the Mara and as we would learn over the next few days, seemed to know every tree, bird and animal that we came across. 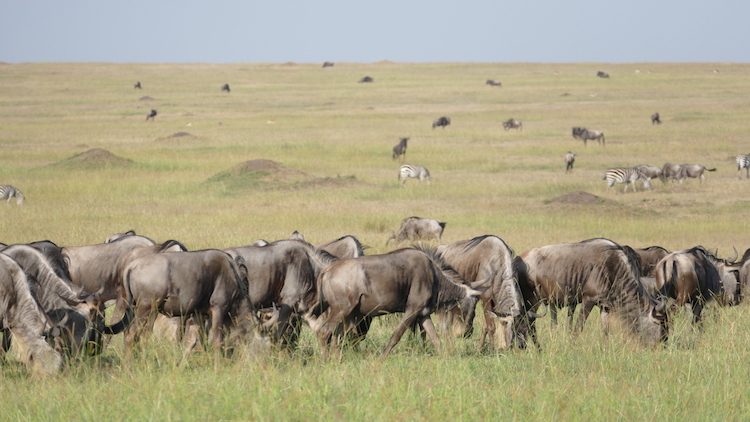 We set off among the open landscape of the Mara North Conservancy and explored several ecosystems including woodlands, savanna and plains. 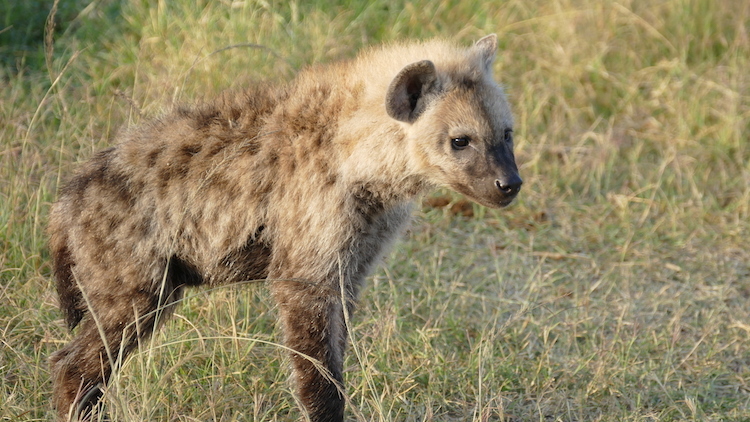 Throughout the four days we were with James (guests have their own private vehicle) we had the privilege of spotting the Big Five, cheetah and dozens of other species that make such an experience utterly extraordinary. 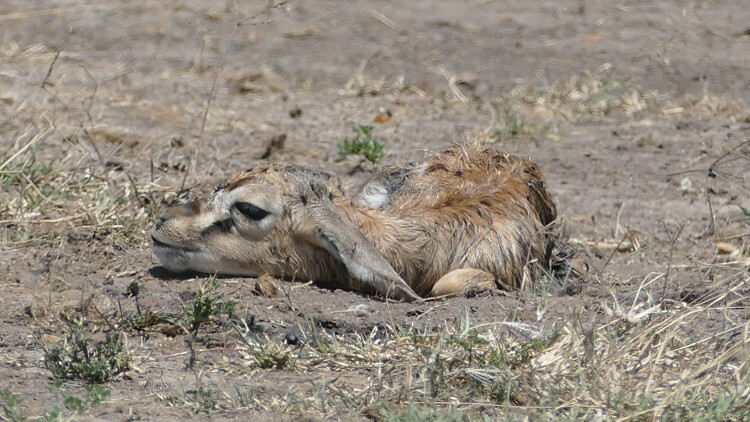 We even spotted a baby gazelle minutes after its birth and a baby jackal, which popped its head from the safety of its den to keep an eye on its mother as she roamed the area looking for food and keeping an eye out for predators. 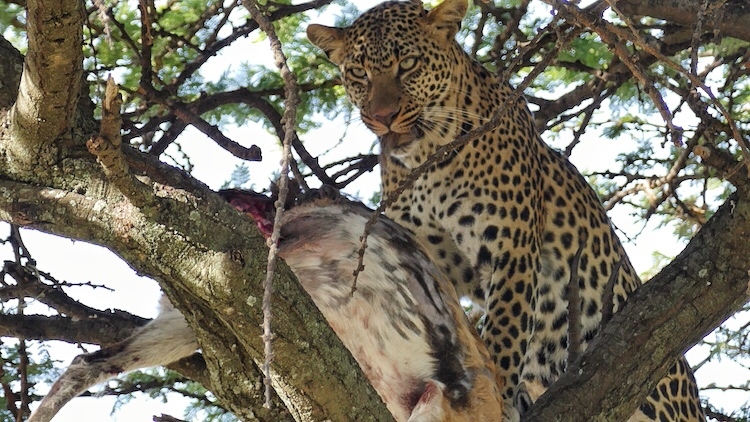 One of our favorite things about Serian game drives was the option to have breakfast in the bush, which we took full advantage of. Each day, James would take us to the most beautifully scenic spots often not far from gentle roaming animals. When we moved to Nkorombo Camp we didn’t think things could get much better, but they almost did. 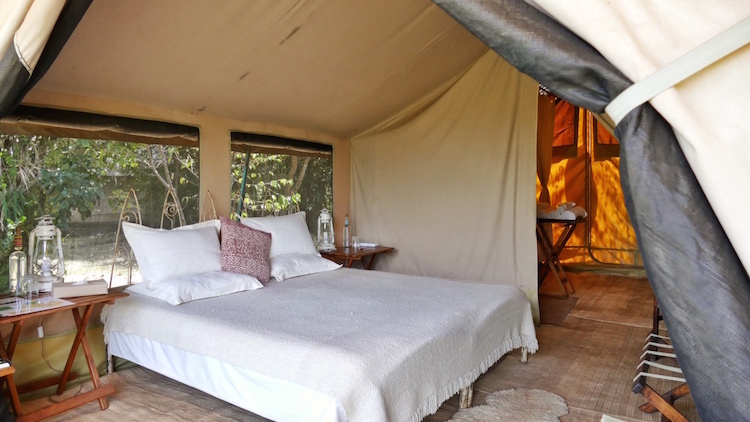 I had never truly camped before and although luxuriously appointed with a bucket shower, flushing toilet, plush bed and bath amenities made from essential oils, the tent was still, in fact, a tent set on no other structure but the ground. 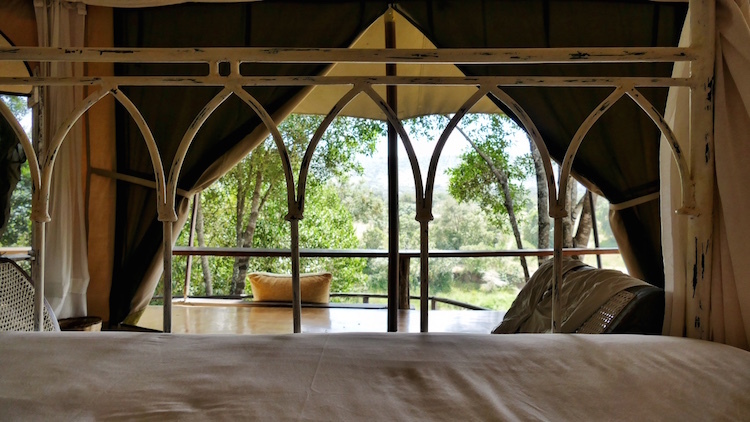 I loved the feeling of being so close to nature – the Mara River peppered with hippos only steps from our tent – and hearing the sounds of the wild at night. The food here was just as delicious and healthful and the grounds just as enchanting as those at Serian “The Original”. I did love the open boma by the river that was lit every night just before dinner. It forced me to take a moment and absorb all that is the bush in the heart of darkness. Even with a wake-up call at 6:00 a.m. the days seemed too short, slipping through our fingers with each passing game drive. 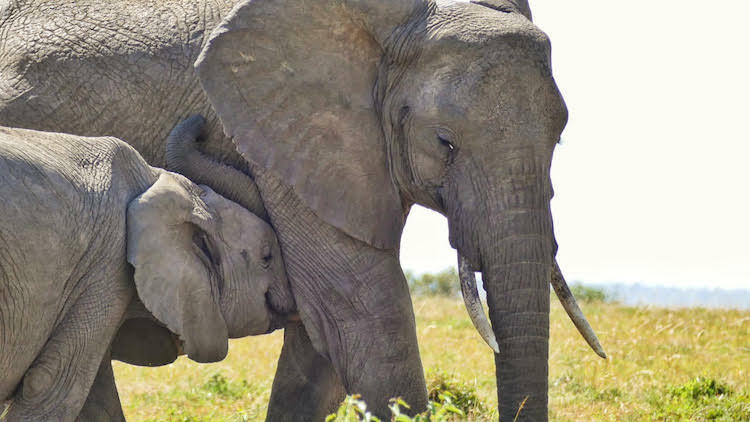 Each night after dinner I would huddle down under the covers snuggling next to the hot water bottle left for me during turndown and read an African novel or nonfiction story about Kenya. The stories fascinated me and I felt gloriously immersed in the gems of such a beautiful nation with so much history surrounding mankind itself. 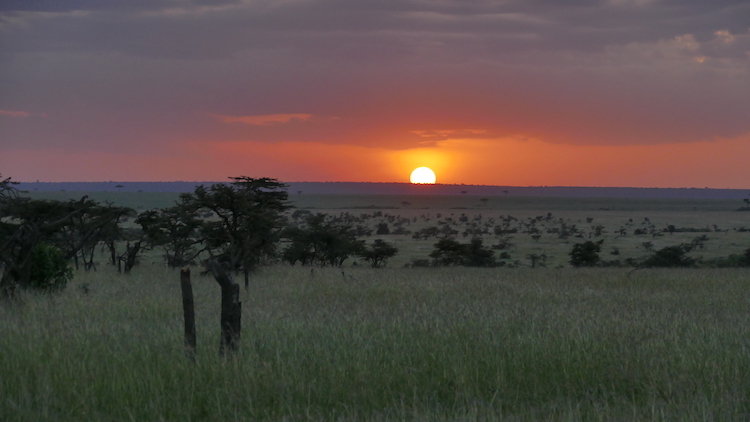 After an hour, I would close my eyes and slip into a dream of this special piece of Africa.